Seeing Red by Sandra Brown is a 2017 Grand Central publication. A gripping, dynamic and complex thriller from one of the best romantic suspense authors around! Pictures that capture iconic or heroic moments in time are etched into our consciousness, conjuring the emotions and trauma of an event, cementing it in our minds forevermore. The image of Major Franklin Trapper leading a small number of people from a bombed out hotel, captured his brave act of heroism, adding it to those iconic images, and catapulted him to enormous fame. Now, years later, ambitious and dedicated journalist, Kerra Bailey has her heart set on interviewing the Major. But, he’s not answering her calls. As a last resort, she contacts his estranged son, Trapper, hoping he can help get her foot in the door. Her plan works, despite Trapper’s blunt rudeness, but once Kerra gets her chance, it turns deadly when she and the Major are attacked inside his home. The logical motive behind the ambush must have something to do with the decades old bombing and the fear that Kerra’s interview might unearth long buried secrets and corruption. Trapper, a former ATF agent, once on the brink of discovering who was behind the hotel bombing, that made his father famous, but also drove a wedge between them, is determined to keep Kerra safe, while hopefully solving the decades old crime that cost so many people their lives. This story has a sophisticated plot, tapping on a few timely themes, solving not one, but two horrendous crimes. One, the cold case, which is long overdue for justice and the present -day crimes connected to it. For Kerra, the interview with the Major, could make her a superstar, but it’s much more personal that anyone realizes. It’s personal for Trapper as well, but he doesn’t want to let on how worried he is about his father or how much he cares about Kerra. As the pair join forces, they begin to uncover a shocking trail of greed, coercion, and abuse of power. The twists come at a rapid -fire pace, with skill and cunning precision. There are plenty of thought provoking characterizations, all well-defined and full of conflict and festering resentments. The bad guys chilled me to the bone with their unapologetic lack of remorse, twisted and manipulative mind games, and lust for power and control. The romance between Trapper and Kerra may be rocky, but it’s blazing hot! I loved the dialogue and banter between the couple, and despite Trapper’s lack of apparent sentimental charm, I couldn’t stay mad at him for long, and mostly got a kick out his frank appraisals and remarks. 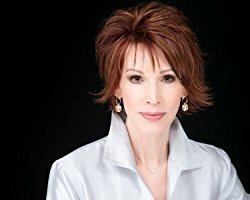 Sandra Brown has romantic suspense writing down to a science. Her fans want and expect edgy plotlines and high -heat romance, and she more than delivers with this novel. But, even if you don’t enjoy reading romance, there is a perfect balance of the two elements, so that it will appeal to a broader audience and to anyone who simply wants to enjoy a good old fashioned thriller. 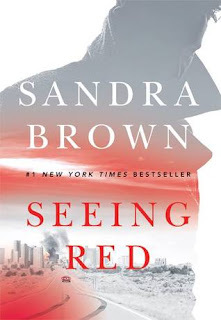 Sandra Brown is a ‘go to’ author for me, and has been for years. Her books just keep getting better and better!